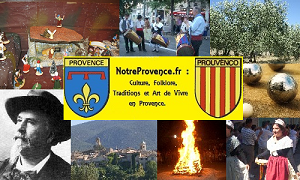 Discover the Famous Characters of Provence. Joseph Roumanille: Real Father du Félibrige, Roumanille will leave the image of an essential actor in the development of the Provençal culture. Frédéric Mistral: Founder member of the Félibrige, Mistral rehabilitated the Occitan language. Emile Zola: Provencal writer, Emile Zola's name is strongly connected to that of the Mount Sainte Victoire. Adam de Craponne: Famous engineer who realized a canal connecting Durance with the country salonnais then dried out. Pierre Puget: Provençal sculptor of the XVIIth century.